Welcome friends to Pixie Paper Company! A place where you can explore your creativity and meet many like-minded friends. 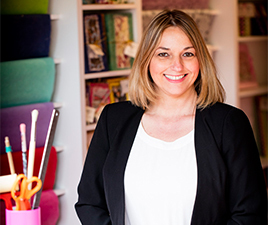 Pixie Paper Company is about helping people connect with their creativity in a warm, inviting space, where we can leave behind our computers, housework, stressful jobs and connect with ourselves and each other by absorbing ourselves in that magical zone that making art takes us to. Pixie Paper Company is dedicated to the paper arts – papermaking, journal making, vintage collage, giftwrap, cards and stationery as well as providing classes that promote self - exploration and goal setting as found in our journal writing and vision board classes. It is my dearest wish that we be those wonderful people who send handmade cards and letters and who write in our handcrafted journals, who make our own giftwrap and presents and inject our personality and love into all that we create! We offer an array of classes scheduled throughout the year on all of the above crafts. Afternoon tea, inspiring music and all supplies are always provided. You will be taught by Cherie Ward (me), an extremely experienced paper crafter who has studied book restoration and paper making and has been practicing these crafts for 20 years. I am also a university qualified Trainer, Counsellor and Coach, so when you see some of our other courses on offer like Vision Boarding and Goal Journaling, please know that you are in good qualified hands. SO friends… if like me, you also can’t go past a stand of stationery and want to learn how to make your own or you just want to get creative, meet some new friends or make the space in your life to kick new goals, then come on over to Pixie Paper Company and I will love to share with you my cozy colourful studio as well everything I know about the art of paper. © Pixie Paper Company 2018. All Rights Reserved.